Peel Thunder Football Club is pleased to announce David Grays Aglink as our newest Stadium Partner. The home of WAFL team Peel Thunder will be now known as ‘David Grays Arena’. 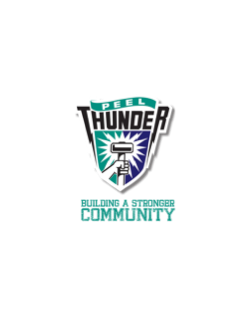 General Manager of David Grays Aglink, Warren Stirrat is a lifelong supporter, beginning his love of Peel Thunder as a Reserves Coach in 2003, subsequently sitting on various committees and is a current Member of the Peel Thunder Board. David Grays Aglink services both the broad acre and horticulture market segments and has become the distribution partner of choice for more than 40 agents in Western Australia. ‘David Grays Arena’ will play host to the AFL JLT Community Series fixture - West Coast Eagles v Fremantle Dockers, Sunday March 10 and numerous other community events and of course football throughout 2019. The Peel Thunder Football Club would also like to thank our outgoing Stadium Partner, Halls Head Community Bank Branch of the Bendigo Bank, who remain as a Platinum Partner of the Club. Welcome to ‘David Grays Arena’!